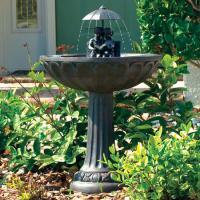 Add elegance to your birding haven with the Gardman pedestal bird bath. The interior and exterior of the bowl have a flower pattern, which adds visual interest to the entire piece and helps texture the interior for smaller songbirds. 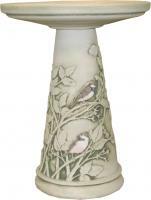 The 2.5 inch depth is perfect for allowing smaller birds to bathe, while larger birds can drink from the bath. 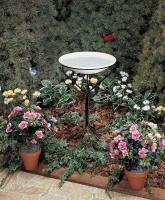 Rectangular holes along the edge of the bowl offer perching room for any size bird. Scrollwork in the base of the pedestal adds a classic touch to the piece, accented by the verdigris colored finish. The pedestal and base easily screw into the bath for quick and easy assembly, and the three included ground pegs add stability to the unit. The plastic construction is weather and frost resistant to last for many seasons. 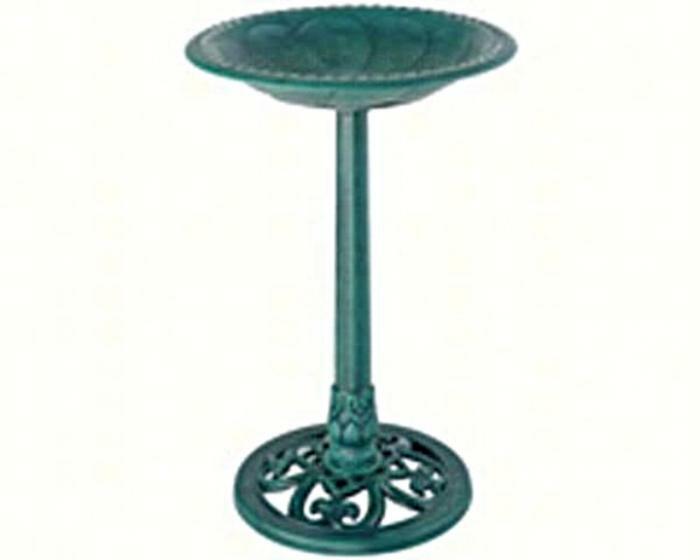 Keep birds coming to your yard with the pedestal bird bath. Assembly required.